Two wonderful babies came into the world on March 22, 2013. 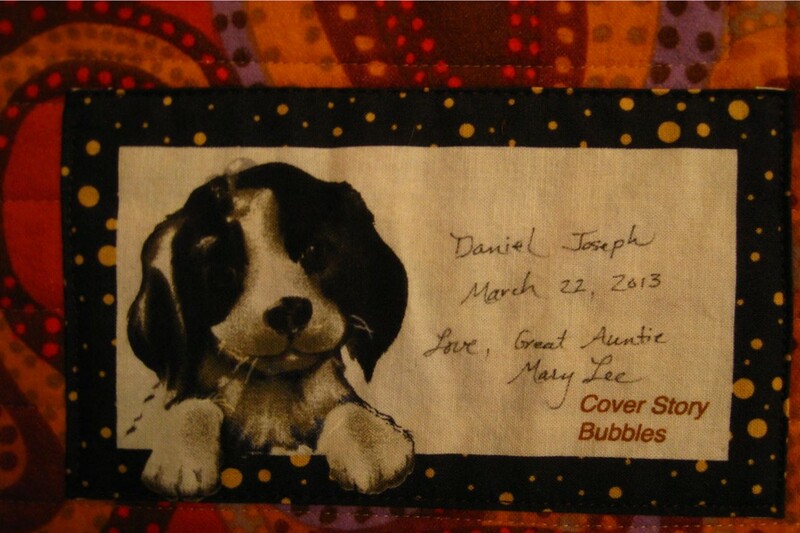 They were the third and fourth great nephews in our family. 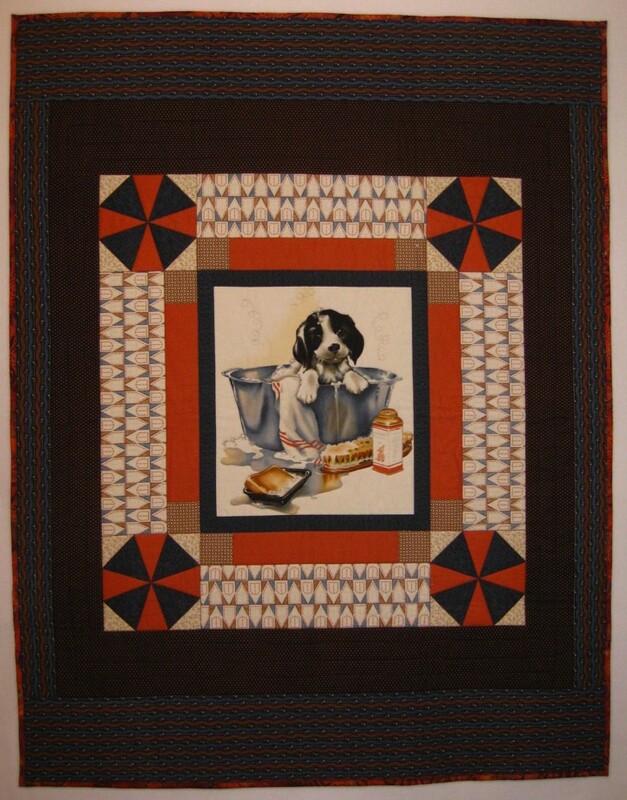 I had decided to make quilts to welcome them into the world. Here’s a bit about the process of making the quilts. 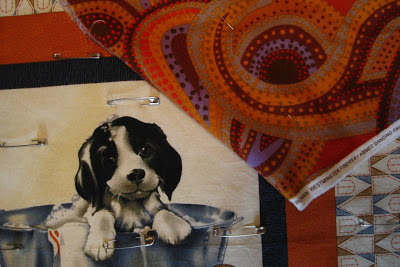 I selected fabrics that I thought the parents would appreciate, and the babies would too, when they got a little older. 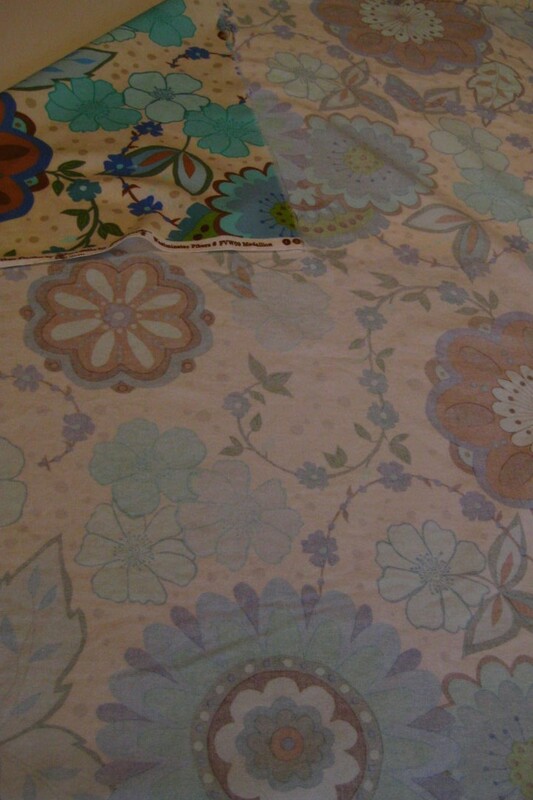 These fabrics have a special sentimental value to me because my Mom and I chose them several years ago. My mother and I would go on trips around Southern Minnesota to quilt shops several times per year. 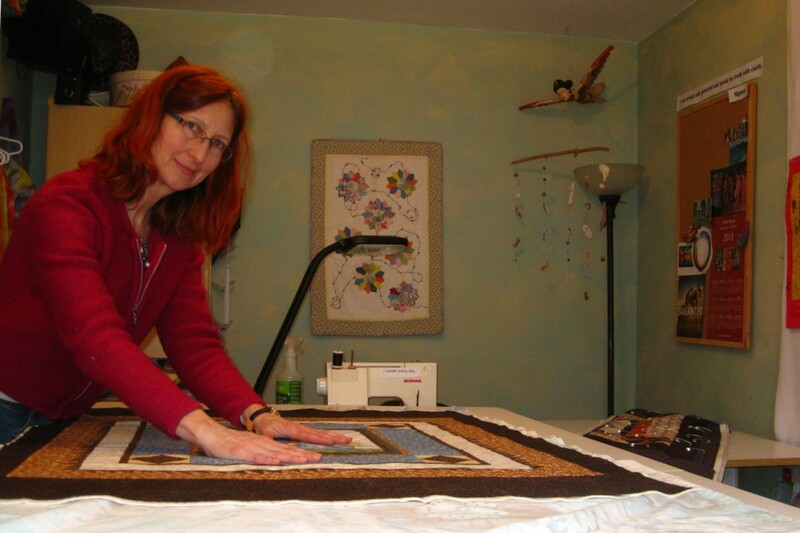 Local quilt shops would host these ‘shop hops’ to invite quilters to see the fabrics. Sometimes there were prizes and gifts, and often a bit of coffee, candy or a sweet. It was a favorite activity that my mother and I shared. We would catch up on one another’s news and I would often ask her about our family history. 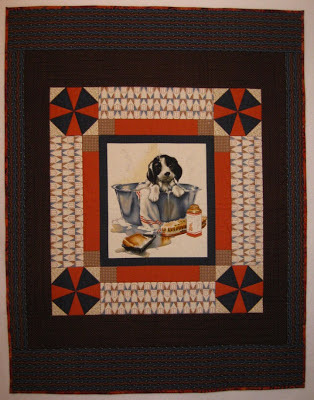 She would tell me stories of the quilters, stitchers, and seamstresses in our family. 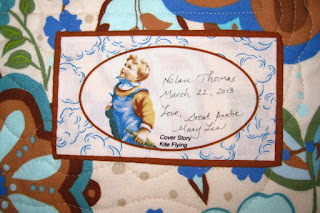 I choose the backing fabrics, complementary flannel fabrics for their softness and color just a couple of months ago. I guess that I was waiting for these baby boys to arrive. 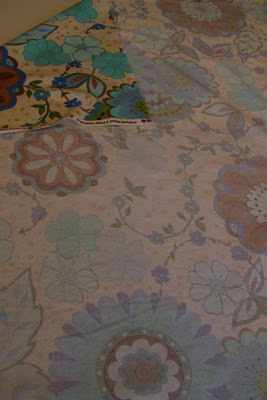 Here’s how the quilts came together. 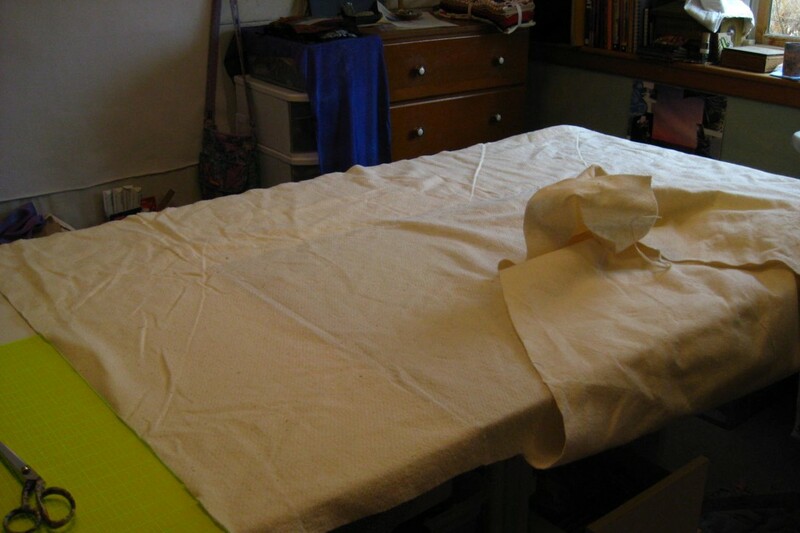 After the fabrics were stitched together for the quilt top, the batting and the backing fabric needed to be cut to size. Then the three parts—top, batting, back are pinned together with large safety pins. 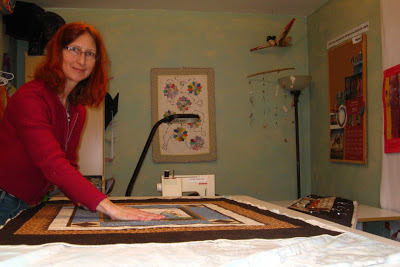 This allows me to stitch the three layers together without everything shifting during the quilting process. Everything gets smoothed into place. When the three layers are pinned, it looks rather industrial. 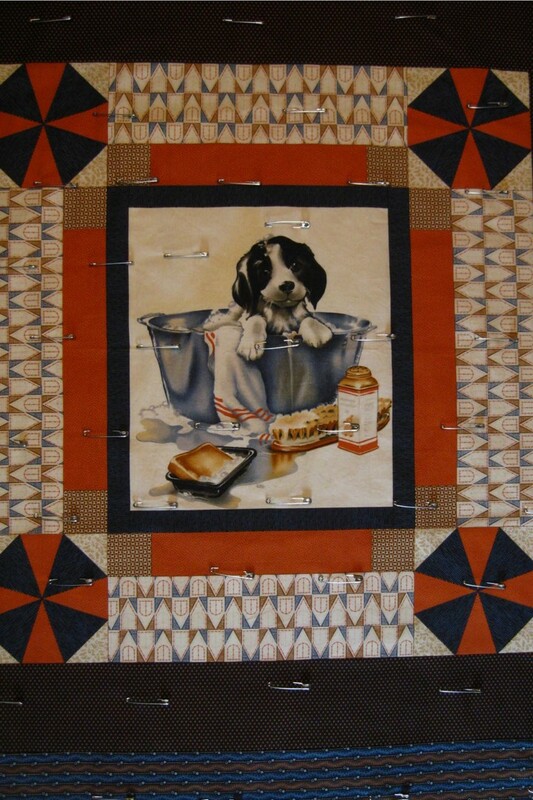 I’ve thought that it would be interesting to make a quilt that I intentionally used safety pins in the design. 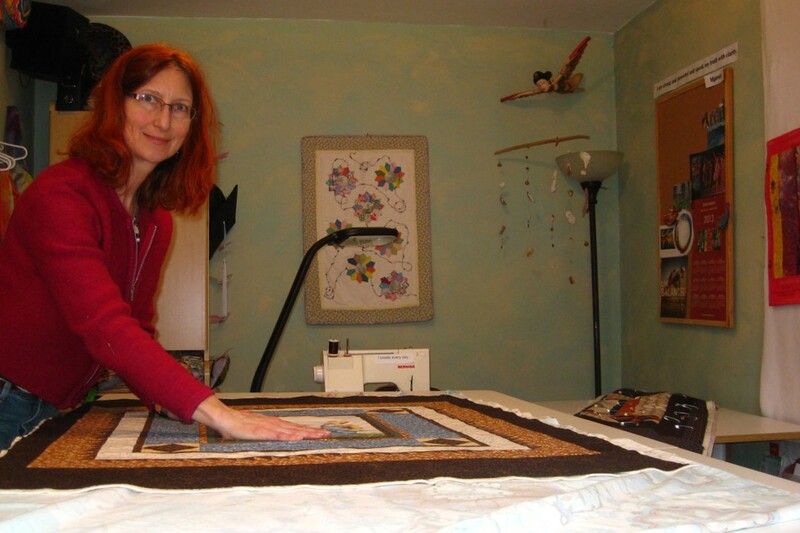 I use a Bernina 1008 for all of my stitching and quilting. My studio in the background is full of things I’ve made or found, which support ideas for future projects for me or my students. It’s a wonderful space to create.